Welcome to my guide on my favorite and most played god in SMITE, Terra. This guide will focus on how to make the most of Terra in the support role in season 5. Terra can also be played with some success in the solo lane, however she is best suited to be played as a support, and that is what this guide will focus on. These are Terra's base stats, along with the elements that comprise her kit. This section will provide an overview for each of Terra's skills. If you are looking for how to level each ability, please proceed to the "Leveling Order" section for a discussion on when to level each ability. Terra's first ability is a simple dash. Except it isn't quite that simple. The way this ability works is that if you were to use this ability on its own, you would travel 35 units in the way you are facing, dealing damage to any enemy god or minion that is in your path. However, if you use this ability to dash through the stones you create with Crushing Earth or Monolith, you are granted the ability to dash a second time for the same 35 units, dealing the same amount of damage as the first dash. You are given three seconds to dash for a second time before this ability goes on cooldown. Terra's second ability has two functions to it. The way it works is Terra will summon two walls that are parallel to each other and the player's direction. These walls can be placed up to 55 units away and will stay standing for five seconds, or until they are shattered. There are two methods that Terra can use to shatter the walls which will provide different effects. The first, is to simply activate the ability again which will collapse the walls together, stunning and damaging any enemies that are inside the 20 x 30 area between the walls. The second method is to use her first ability Force of Nature into the walls, dealing increased damage outwards in a cone in whatever direction Terra is facing up to 55 units away. The walls will automatically collapse after five seconds providing the damage and stun to anyone inside its area. Crushing Earth will not go on cooldown until at least one wall is shattered. The enemy can be hit by only one of the walls if they are not close enough to the middle. Unfortunately there is no targeting indication of where exactly both walls will hit, but the deadzones are shown in figure 2.2 below. Terra's third ability is similar to her second in that it has two functions. The way this one works is that Terra summons a small monolith with a surrounding radius of 30 units. This monolith will last for ten seconds or until either Terra or an enemy god destroys it. This monolith is not targeted by towers, minions, or jungle camps. In order for an enemy god to destroy it, they must auto attack the center monolith five times. In order for Terra to destroy it, she must use her first ability Force of Nature on the center monolith. When Terra first summons this, any ally standing in the radius of the monolith will receive healing over a ten second period. However if Terra dashes through the monolith, any enemies caught inside the radius will take initial damage, be rooted for one second, then take damage over time(DoT) for the duration that they remain in the radius. Upon leaving the radius the DoT will stop. This effect will not be triggered if an enemy destroys the monolith before Terra can dash through it. Unlike Crushing Earth, Monolith will go on cooldown immediately after being used. Terra's ultimate was once considered to be one of the strongest in the game. Because of this, it made her extremely difficult to balance while remaining a fun kit. This was addressed in patch 5.6 which saw her ult lose a lot of functionality, but also gain some interesting mechanics. 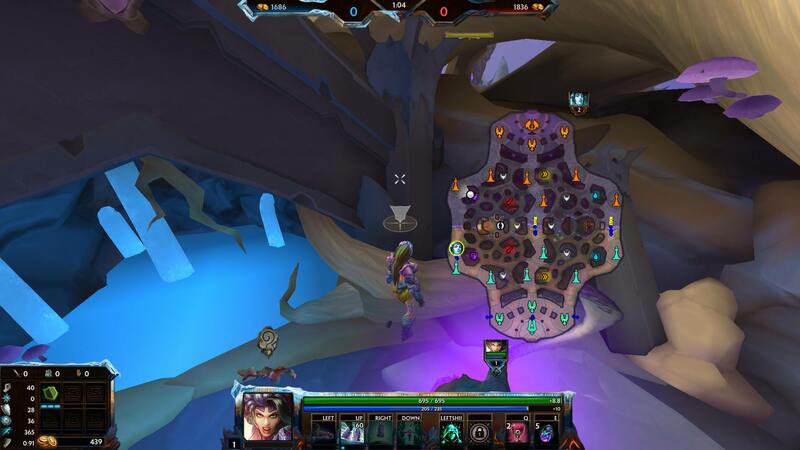 Now, the ult will give yourself and allies within a radius a buff, while giving enemies in the same radius a debuff. Allies are given a 5% mitigation bonus along with four protective stones. If the ally takes damage four times, they are given both a heal, as well as a heal over time that lasts for 10 seconds. Enemies are given a 5% increase to damage taken along with four stones of their own. If the enemy takes damage four times they receive a single burst of damage. Terra's passive is fairly simple as well. The way it works is that while the walls of Crushing Earth, or the monolith of Monolith are active, she will be knock-up immune and her auto attacks will deal bonus damage while providing a slow. The important thing to note with her passive is that it will last for an additional three seconds if Force of Nature is used to shatter the stones that she has created with her 2 or her 3. This effect will not activate if her 2 is simply collapsed. This section will go over how to level Terra from 1-20. Overall, she is easy to level, but there is an interesting decision for you to make at level one. If you are looking for a description of each ability, please go to the "Skills" section. Your first option is to start by leveling Force of Nature. This ability provides the worst level one clear of any guardian in the game, so you might be wondering why you would want to start with this over Crushing Earth. The reason for that is while you would be sacrificing a bit in level one, you gain much more at level two. This is also the start I recommend if you want to start in lane. Level Two Monolith Now you will want to level Monolith as this will provide much better clear when used in conjunction with Force of Nature, compared to using Crushing Earth and Force of Nature together. Level One Crushing Earth Your second option is to start with Crushing Earth. This will give you the stronger clear in level one, as not only does it do 40 more damage than Force of Nature, but you can have Standing Stones be activated with it, giving seven more damage per auto attack. This is the start I recommend if you want to be starting at your buffs. Level Two Force of Nature Now you will want to level Force of Nature and shatter your walls with it to clear the wave. The Force of Nature into Crushing Earth combo will provide worse clear at level two compared to Force of Nature into Monolith, which is what makes your decision at level one interesting. If you went with Option 1, level Crushing Earth now. If you went with Option 2, level Monolith now. Having all three abilities leveled will not only give you pressure, but will give you kill potential in most match-ups. Now you want to level up Monolith, as it will provide more consistent AOE damage and healing compared to Crushing Earth, since Crushing Earth will be used normally for a stun, and the hitbox to hit an enemy with both walls is very narrow. First While Terra's Blessing is not as good as it once was, it is still a very potent fight changing ultimate. The damage and healing it provides is well worth putting levels into it first. Second As mentioned before, Monolith is simply more consistent damage and healing in comparison to Crushing Earth. A fully leveled Crushing Earth will deal 190 damage if one wall is hit in the collapse, 380 damage if both walls are hit in the collapse, 260 damage if one wall is shattered, and 520 damage if both walls are shattered. A fully leveled Monolith will deal 200 damage initially, then an additional 180 damage over five seconds if the enemy remains inside the radius. As well, this ability can be used to provide a heal of 300 over 10 seconds. The reason why the latter is more consistent, is that it is a large AOE that can hit multiple enemies. Monolith is also the prioritized target for Force of Nature in order to provide the root, while saving Crushing Earth for the stun. Third With the root now being back onto Monolith, you will now want to level Crushing Earth second. The reason for this is because you want to be applying the root and AOE damage to as many people as possible in a fight. Before with just a slow, you could afford to treat the Monolith- Force of Nature combination as a single target burst combo. This really isn't the case to the same extent with the root. Since you will no longer be getting the double dash onto enemies as often, getting the extra damage from Crushing Earth will be much more potent. Fourth As was described already, putting points into Force of Nature will give you more damage, but the control you get out of the root in Monolith is too strong to not try and apply it to multiple enemies. That means you won't be applying the double dash to enemies as often (though if the opportunity is there you should still take it). DISCLAIMER: The most important thing that I can't stress enough about Terra, is that she is not a healer. She does have heals in her kit, but to call her a healer would be almost be like calling Chiron a healer. OK, not quite that bad, but the point is, the heals in Terra's kit are not something that you should be building around. They are just too slow or conditional to invest into. In my opinion there is only one healing item you should look at in your builds that I will discuss, and that is Lotus Crown. With that out of the way, this section will go over how to build Terra, including starting items, build progression, general build tips, and example final builds. These are the blessings that have potential with Terra. In my opinion there is only one clearly viable blessing to be used on Terra in the support role, and that is Guardian's Blessing. This item provides you with protections, health, mana/health restoration, MP5, and most importantly, bonus gold. As a support, you are going to struggle to keep up in farm with the rest of the team, especially now that the rewards you get for splitting a jungle camp have been reduced to 60% instead of 75%. This is the safest option that will never be a bad buy in its current state. Just make sure you are not last hitting the minions, as you need the assists to activate the passive, while also giving your ADC the farm. This item does have some potential, since it provides help to Terra's early clear and mana, as well as cooldown reduction once evolved. However in my opinion this doesn't make it worth the gold you miss out on from Guardian's Blessing. This item does have some potential as well on Terra, as her 2 and 3 provide easy and safe ways to activate the mana/health restoration. You also get 100 health, three flat damage reduction, and once evolved, 10 protections. This can provide good value against teams that feature a lot of DoT, but again, losing that gold can put you too far behind in an already farm-starved role. These are the viable relics to be used by Terra in the support role. This is a very strong relic. Since its buff it has been a staple of support play. This item is best picked up when there are significant slows on the enemy team. Seeing teams filled with the likes of Ganesha, Hou Yi, Ratatoskr, Osiris, and others should make you immediately consider Heavenly Wings for it's slow cleansing ability. However, you don't have to use this item purely to cleanse slows. It is also great for being able to get your allies into and out of team-fights, as well as having the upgraded version remove the movement speed penalty on auto attacks. This is an item which is better in some situations than others, but will never be a terrible idea. I love this relic on Terra. This is the relic you get if you want to keep your enemy slowed for what seems like an eternity. In her kit, Terra has a root for one second through Monolith, as well as a 30% slow for 1.25 seconds through Standing Stones. What Horrific Emblem allows you to do is have an enemy be restricted in movement by at least 30% for up to 8 seconds. Now that might seem like a bit of overkill, and I might be inclined to agree in some situations. However this relic is a ton of fun, and if you are in a match-up that provides good level 2-5 kill potential, this relic is incredibly strong. Like Heavenly Wings, ever since it was buffed, Magic Shell has been a staple of almost all support builds. It is an item that will always provide some benefit to the team, but it is definitely better against certain gods than others. For instance, the shell is not going to help as much against a burst god that can 1-shot your squishies right through the shield. However against an auto attack heavy team, shell can be huge in coming out on top in a trade, especially since the upgraded version gives two block stacks that block any auto attack. The most important thing with Magic Shell is having good timing as far as when to use it. You don't have to wait until the enemy is about to land a killing blow to use Magic Shell. You can use it early in an engagement to increase your team's effective health and turn the fight in your favor. Overall, this is a relic that nobody will look down on you for picking up in almost any situation. This relic gets a bad rap. 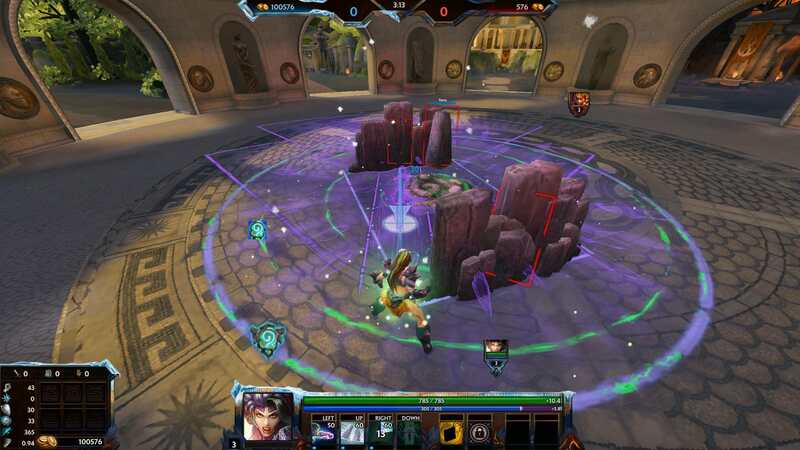 When people see this relic, the first thing that comes to mind is the 0-15 Diamond Neith that buys Meditation Cloak every game no matter the circumstance. However this relic is actually not a bad pickup for a support. It provides just 25 less health than Magic Shell, while also providing 30% mana, all while being permanent and on 30 second shorter cool-down. In a meta where sustain has been heavily nerfed, that is not a bad deal at all. Once upgraded it provides one second off cool-downs and 30% reduction in mana costs, which can be the difference between your squishies getting out alive and taking a trip back to base. Like Magic Shell, you should always look to use this earlier in an engagement if you are committing as you want it off cool-down as quick as you can. Also, using it after baiting an enemy into a fight can be a quick way to turn a death into a kill. This item is also a good counter to gods like Thanatos and Ao Kuang to counter their execute. Just make sure you never buy this relic into a team with built in anti-healing, such as and Odin or a Serqet. This is an underrated relic in my opinion. It is not a terrible relic option at all, but similar to Meditation Cloak, it seems outclassed by the likes of Magic Shell and Heavenly Wings as far as consistency goes. However, this relic is very good for compositions made for burning objectives, as well if your team has multiple ADCs. As well, this relic can help you in the early game establish pressure in lane, especially post level one. Then, with the upgrade you receive an additional 10 penetration. Overall, this can be a good relic if used correctly, especially if paired with Terra's Blessing at the start of a team-fight. This relic is a bit of a wildcard after the buffs it received. Reducing healing by 50% is nice against a heavy healing comp, and now that the upgraded version increases the damage taken of healed gods by 20%, it might be worth considering. However this is one very situational relic that probably still isn't worth what you are giving up in the other options available. You see Odin, you think about buying this. It's basically as simple as that. Odin farms Terra in his cage, and if your team is on the leap-less side, then this is a relic you have to at least think about picking up. Cabrakan and Ymir are the other two to consider picking this up against, but Odin is the character this Relic was made for. The 15% damage mitigation on the upgraded version doesn't hurt either. I know what you are thinking. " Purification Beads on a support?!" But hear me out. Into certain teams, beads are not as terrible as you might think. If you run into a team that is heavy on CC, it wont matter that you are able to sprint or shell your team if you are constantly getting CC chained and blown up. Think about having to deal with a Kumbhakarna, Da Ji, and Poseidon combo you at level five before you are able to build into any protections. In that case, an alive support with Purification Beads is more useful than a dead support with Magic Shell. For Terra especially, you will usually put yourself into dangerous spots when using Force of Nature. If your Force of Nature gets caught out in the early game, you will be a sitting duck without Purification Beads. Purification Beads will be far from your best choice in most situations, but it is a situational item you shouldn't be afraid to buy if you feel you need it against certain team compositions. Early on, the healing that Monolith provides is not enough to sustain you in lane, and as such it shouldn't be relied upon when deciding on consumables. With a start focusing on sustain, you will want to go with Guardian's Blessing, Shoes, four Healing Potions, and two Multi Potions. The relic will depend on what you think will be most useful out of the options given above. Meditation Cloak is good as it will help with sustain, though it isn't required. Chalice of Healing is also an option here, should you decide you don't want to continue buying potions. The second option that you have, is to start with Guardian's Blessing, Chalice of the Oracle, and four Healing Potions. 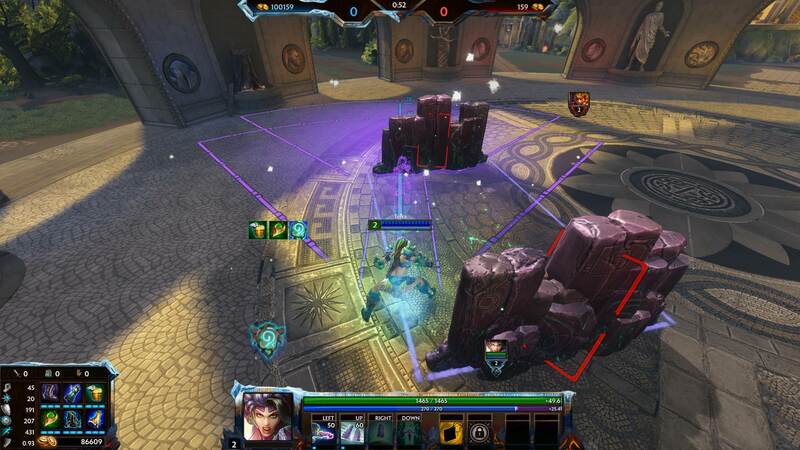 Doing this will allow you to gain vision into the enemy jungle to spot out early rotations. This will help immensely if you plan on being aggressive post level one, and attempting to invade their jungle at first re-spawn. If you do not buy Chalice of the Oracle now, then you want to purchase it on either your first or second back. Again Chalice of Healing is another option here instead of the Healing Potions. With the starts out of the way, it's time to go into one of the most important decisions you will make when building any god: What boots should you get? Here is my take on each of the options as it relates to Terra. Also known as pen boots, these are your option if you are planning on going in and hurting people. Terra can seem as though she is low damage, but hitting a squishy with all three of your standing stones will hurt, and hurt a lot. These are the boots you pick if you feel you need to carry the game, however if that is really your mindset, Terra in general is not your best choice. However these boots will still hurt people and hurt them hard, so if you want to have some fun dashing people back to base, then these boots are for you. Overall, a pretty rare situational pickup for Terra. Also known as cool-down boots, these are your option if you want to be forcing out abilities, abusing Standing Stones, and spamming Terra's Blessing as much as you can. With how long her ult cool-down is, CDR is definitely not a bad option on Terra. If you do buy these boots, you are going to want to play very aggressive, capitalizing on the short window you have before your enemy's abilities come off cool-down. It's also important to note that the extra mana these boots provide can go a long way in keeping you in the fight longer. Overall, a very good buy on Terra, just keep in mind that you are losing out on important stats compared to the other options available in terms of tankiness and power. Also known as tank boots, these are your option if you want to... well... tank. The passive on these boots is amazing up against gods that have DoT abilities, as the protections stack temporarily every-time you take damage. Not only that but 75 health and 20% CCR will go a long way in keeping you alive against CC heavy teams. What makes these boots especially good on Terra, is that in order to be effective, Terra has to put herself in some risky situations. If she gets caught while shattering her stones, she can be burst very easily in the early-mid game if you aren't careful. These boots go a long way to mitigating that risk, allowing you to play more aggressive into the enemy team. These boots are for you if you want to be roaming the jungle and making rotations around the map. Definitely not a terrible pickup on Terra, but after they lost their bonus gold passive, they are not as required as they were before on supports. You are losing a lot to pick up the extra movement speed, and I don't think that the trade-off is worth it. I still want to do more testing to determine if the loss of stats is really worth the extra movement speed that you receive. Now that you have chosen your shoes it is time to choose item number three. Right now, There are three core items on Terra that you will choose between in this slot, Gauntlet of Thebes, Sovereignty, and Heartward Amulet (back to S4 spring split we go).This is how you decide what order you buy these in. This is the first of the three that you should be thinking about at the start of your build. It important to start stacking this item as soon as possible if you decide you want it, and it is the safest option to go into against the standard 3 physical, 2 magical team composition. This item not only provides you with 200 HP and 15 HP5, but by getting assists on creeps, you stack 1 physical and magical protection, up to 50. Then at 50 stacks, you receive an additional 10 physical and magical protections for you and allies within 70 units. The major con to this item is that it is rather pricey at 2400 gold, and it requires at least 4 minutes of stacking before it reaches it's full potential. You should buy this item directly after boots under two circumstances. 1: the enemy team is comprised of 4 physical and 1 magical. 2: You are more worried about their physical damage dealers. What I mean by this second point is if they for instance have a guardian support and solo, a hunter ADC and mid, and a warrior jungle, then you would want to get Sovereignty first, and possibly skip Gauntlet of Thebes entirely. Knowing the enemy team and what they are capable of damage wise is essential to making this decision. As well, if in the early laning phase, you notice their physical jungle has gotten a two level lead, going straight into Sovereignty and skipping Gauntlet of Thebes might be the right choice for the quicker spike in physical defense. The final core item on Terra is the final standard aura protection item. Very rarely will you ever get this item directly after boots. But, if they have substantial magical damage (for example a magical ADC, mid, and jungle) then this would be something to think about. However, in SMITE, the jungle camps, minions, towers, and phoenixes all deal physical damage, so I would still recommend picking up Gauntlet of Thebes first to allow you to tank those damage sources as well. The following are items that you can use to replace the core items mentioned previously. They are not the best items in terms of filling out your build, but they can serve their own purpose if you don't want to go into the standard core. This is an underrated item that I think will get lost in the aura meta of season 5. For 1700 gold, you receive 30 of each protection, 20 magical power, and a 15 penetration buff to nearby allies after applying a crowd control effect. Terra works well with this item, because it will activate on her 2, 3, and her Standing Stones basics, allowing constant application. This is a great bridge item in the early game, but with how strong Gauntlet of Thebes is, and how important stacking it early is, this item is kind of pushed to the side. Last season after Sovereignty was nerfed, Jade Emperor's Crown rose to prominence. Now with Sovereignty buffed back up, Jade Emperor's Crown seems poised to once again take a back seat. However this item is still good in the early game, providing more initial effective health than Sovereignty. This effect does not last long however, as once abilities see ranks put into them, and more physical power is purchased, the effect of Jade Emperor's Crown is greatly diminished. What remains on this item though is a nice 20 power that can help with solo clearing camps in the mid-game. This was one of my favorite items as a support in season 4. It allowed you to increase the damage output of your midlaner, while also giving you the chance to deal some decent damage with Terra's 1-2-3 combo. It provides a good 150 health, 20 magical power, and 60 magical protections, while also giving flat 20 magical protection reductions to enemies within 55 units. A solid item overall, but this is more of a replacement for Heartward Amulet, rather than a round out of your build. This is the stereotypical item you want to see your tank have when you see a prominent healer on the enemy team. It provides the most raw magical protections in the game at 80, 200 health, and reduces nearby enemy healing by 25%. Overall it is a very strong item, however I much prefer to see this item being built on the solo laner. However if they have healing that you want to shut down early, looking to this item as a replacement for Heartward Amulet is not a bad idea. With the way Terra's Blessing now works, Lotus Crown has become a solid pickup on Terra. The reason for this is due to the heal over time that the ultimate provides. Since the HoT lasts for 10 seconds, you can have the Lotus Crown passive procc'd for 15 seconds as opposed to the normal five. Having 20 of each protection to allies is a big bonus, and you aren't losing a lot with 30 power, 60 physical defense, and 20 MP5. Not only that, but if you are engaging with your Monolith into Force of Nature combination, you will get the passive effect for the ensuing fight. That gives a lot of value at only 2050 gold. Overall this item is definitely one you can look to pick up, even later in your build. Beyond these core items, there is a lot of flexibility in building Terra. So what is it that you should be building? Well, in the words of the great JeffHindla: "It depends." In SMITE, there are a lot of viable items that will help you in different situations depending on the enemy team composition and how you want to play. I am going to give a brief overview of items that work well as a support. This item is strong against CC heavy teams with burst. It provides a great 15% mitigation for 3 seconds after being hit with CC, along with 10% CDR, 20% CCR, and 40 of each protection. This a strong item that will work well in most scenarios. Buying this item 5th is generally a good idea. If you are getting blown up buy a Da Ji and Ra, Ares and Thoth, or any other big wombo-combo, then this is the item for you. This item is one of the strongest defensive items in the game, but it comes at a cost of 2900 gold. This is generally bought either 5th or 6th, depending on how the game is going. Once it is online, it allows Terra to be even more aggressive, as the passive will help you to get out of tough situations if you do get caught out in your dash. If you have a lead and can afford to buy this item before Spirit Robe, then it is worth it. However normally you'll be getting this item last if you're going to get it. The next two items are what you want to look towards if you are struggling with the enemy ADC, or if the enemy team has multiple auto attack characters. This item gives the most raw physical protections in the game at 80, while also giving 200 mana and 20 MP5. I don't think this item should be a common pickup on Terra, but it is something that can help in the situation mentioned. Another option to counter auto attack gods, I just personally am not a big fan of the passive. Items that rely heavily on RNG are not something I enjoy using, though that is more of personal preference. It does provide a lot of health and 30 physical protections, but I think there are just better options at the moment. A 30% reduction in attack and movement speed is not a terrible thing though. After the changes this season to have a counter to crit, this item has a lot more counter-play potential. I think it is a bit niche, as it requires a heavy crit enemy to make good value of it, but 60 physical protections, 300 mana, 10 MP5, and 20 CCR isn't terrible as far as base stats go. I personally really love this item. The stats are not amazing with 300 health, 10% CDR and 10% movement speed, but it is the passive that really makes this item worth it in my eyes. This item gives 30 seconds off of your relic cool-downs, which allows them to be up and ready to be used in tandem with Terra's Blessing. Taking fights where your relics are up but the enemy support's relics are down can be the deciding factor in close late game team-fights. The problem is you do sacrifice tankiness, but I do like selling boots in the late game and replacing them with this item. If your goal is to spam your abilities in the late game, most importantly Terra's Blessing, then you are going to want to get Breastplate of Valor. With decent physical protections, 20% CDR, 300 mana, and 10 MP5, you are going to be able to spam your abilities all through the late game. This is generally bought 5th or 6th. If you are maxing out CDR, just make sure you are taking advantage of the time when your abilities come up, but your enemy's abilities remain down. Another item perfect for wanting to spam abilities off cool-down. Not only does it give 70 magical protections, 150 health, 10% CDR, and 40 MP5, but magical damage reduces your cool-downs by 3 seconds. Note that passive itself is on a 30 second cool-down, but this item remains the strongest option for magical protection and cool-down. Usually bought before or after Breastplate of Valor, though you don't have to get them both together. This is an interesting item on Terra. It helps out with Standing Stones by giving her and her team a 25% attack speed bonus, but to be honest I don't see it as something that you should build often, if ever, on Terra. The stats it provides are alright, with 40 magical protections, 10% CDR, 20% CCR, 20 MP5, and an attack speed aura of 25%. However, I would only recommend this item if your team includes 2-3 auto attack based characters. There is so much that I love about this item, and what better god to use it than Gaia herself. It provides such incredible sustain that after buying it, you will feel like a real tank. The only problem I have with this item is fitting it into a support build while maintaining team utility. In the season 4 selfish support meta it was much easier to fit. But with the resurgence of Gauntlet of Thebes, it's hard to justify. Still a good thing to think about if you find yourself up against high sustain comps that attempt to poke and trade with you. This item provides 400 health, 25 HP5, 15 MP5, 2% of max health restored every 5 seconds, and 15% of your health restored if hit with a knock-up or pull. The issue with this item and Terra, is that it will not activate the passive if Standing Stones is there to prevent the knockup. Still, this item is good in general even without the knock-up passive, but if there are a lot of pulls and knock-ups on the enemy team, then you should really think hard about buying it. I'm not a huge fan of this item, but it provides some incredible sustain if you can get it to activate. This is one of those items that works very well if you know you are going to be getting some kills and assists, but overall I think its potential is pretty limited. At 400 health, 10 HP5, and 10% CDR, it does have some value, but picking it up as a support will not be a common occurrence. This item also does pretty well into characters like Thanatos and Ao Kuang as the more health you have, the harder it will be to get you into their execute threshold. This item has some potential in season 5 with the way towers were changed. Now they will deal more damage, but will be easier to kill. So an attack speed buff/debuff on towers might go a long way in making sieges go smoothly(or poorly for the opposition) in an already damage heavy meta. Only buy this item once you feel you are about to start defending or attacking towers. If fights are breaking out at the Fire Giant, this item will give poor value. I took this item off of the main build at the top because I just don't think it gives enough value. For tower fights it is great to have, but I think you just sacrifice too much for all other fights that it doesn't make the item worth it. I'll keep it here though as it is a potential option and with other changes might become viable. Ao Kuangs, The Morrigans, and Lokis appearing out of nowhere to delete your carries? Buy Mystical Mail and sit on your carries shoulders scouting them out. This item doesn't give insane stats at 300 health and 40 physical protections, but having that extra second to react to a character in stealth can do wonders for your carry's health. 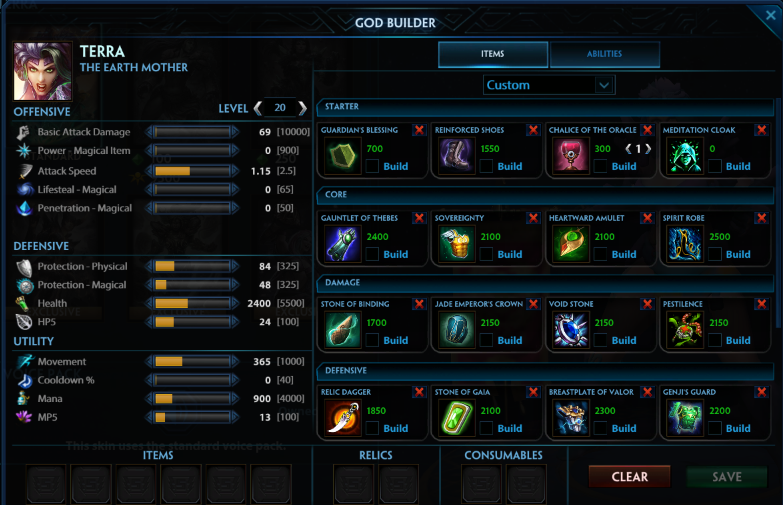 In order to have access to all relevant support items, you can set up your God Builder screen to look like this. This way you will not have to fumble through the menus to find your items, as everything you need can be accessed through this one tab. With all that information on the relevant support items, now is a good time to talk about building in general. Outside of the core aura items, building as a support is very flexible. However there are some important things to keep in mind when you are building. Anti-tank is now a thing. While building tanky is still strong in season 5, new penetration items and damage dealing items will make you feel like less of a tank than you once were. What this means is you have a bit more freedom as a support to look at utility options that can help the team as a whole, rather than just building straight tank. Spread your protections around (unless you don't have to). What I mean by this, is your build should be fairly even between magical protections, physical protections, and health. As I mentioned, physical protections are more valuable in general, but if you are in a game against an 0-10 Neith, a 17-1 Ao Kuang, and a 14-2 Sol, then building more on the magical side is warranted. At the same time, if you do leave yourself vulnerable, you have to make sure you play around that deficiency. Watch what the enemy team is building. In order to properly counter build, you have to be aware of what the enemy team is building, and if needed, build around that. So if you notice all three carries building Titan's Bane, Obsidian Shard, and other anti-tank items, then you might want to think about focusing more on your utility and health, while changing up your play-style. Pay attention to how you are dying while you make your decisions. If a fight goes bad, the first thing you should ask is what went wrong, and what item could have changed it. Did you lose a 3 vs 3 with a Kali and Sol on your team? Shogun's Kusari might be a good idea. Did your stun come up a second late when trying to peel for your carry? Breastplate of Valor or Genji's Guard could work well for the next one. Did a Mercury and Jing Wei crit you into the ground? Spectral Armor might be required. The main idea is to look honestly at what went wrong, and what you might be able to buy to avoid it happening again. In the late game, you generally will always want to replace whatever boots you have with Shoes of Focus. Getting your abilities out is more important in the late game compared to what the other boots can provide. However, there is a no-boots build for late game that I enjoy, where instead of buying Shoes of Focus, you replace your boots with Relic Dagger. You will lose some mobility, but in my opinion relic cool-downs and health are more important in the late game compared to 8% movement speed on a character with mobility built into her kit. I would recommend to have Heavenly Wings as a relic if you want to do this however. With all that said, here are some potential final builds you could end up with, though keep in mind there are many more possibilities with everything I went over above. Now that you know all about Terra's skills and her items as a support, we are going to go over how to play Terra to get the most out of her. If you are looking for general tips and tricks, please go to the "General Tips" section. Before going into how to play Terra, it is important to discuss one of the most important aspects in SMITE, which is farming. In this section I am going to go over some basics about farming with Terra and as a support in general for season 5. 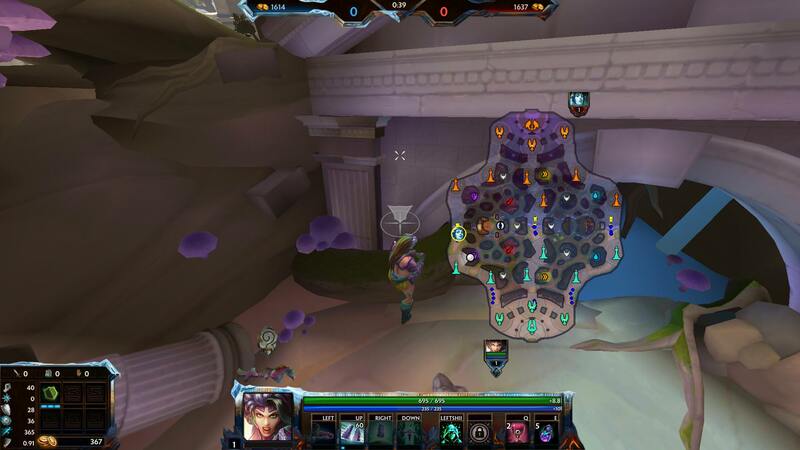 These are the timers that you need to have memorized while you play SMITE. You should try and get a good rhythm as far as knowing how much time you have to fight before important camps spawn. It's really important to know when buffs are up so you can be there as they spawn for optimal farming. DO NOT share a camp with more than two allies. Sharing in and of itself is less efficient than previous years, but sharing between three, or even four people is just as bad as previous seasons. You should try to limit 2+ sharing to times where you are trying to invade and secure objectives on the enemy's side of the map, or if you are being invaded and you need to defend your own objectives. If you are just clearing your own camps, your first goal should be to solo clear them. This will allow your jungle camps to spawn back faster at the cost of 20% XP. With how quickly camps spawn back, this is a good trade to make. However, if for example you and your ADC are rotating back to clear camps, it is better to just do them together, as you will not save time from separating, you will receive more XP and gold total, and you will be able to build stacks on items like Gauntlet of Thebes. Throughout the game, you want to be clearing camps as fast as you can. To do this, you want to use the ability that you are putting levels into, which should be your Monolith into Force of Nature combo. However, if you are sharing a camp with a carry, it is smarter to only use Crushing Earth or only use auto attacks in order to preserve mana. If you are soloing camps, make sure you are getting some value out of Standing Stones as the bonus damage can save you an extra auto attack when clearing. This was partially covered in the leveling section above, but here I will go a bit more in depth as far as your options go for starting. Early game takes a little bit longer to get through this season, which does hurt Terra given her very weak level one clear. However, if you can make it through level one without giving up too much, the rest of the game should go alright. Personally, this is my preferred start in almost any scenario with Terra. The premise of the start is simple, you give up the first wave of the game to start at your purple buff in order to protect it from invasion. From there, you are able to go straight to lane. Clearing purple gives you and your ADC 110 XP, lane melee creeps give 30 XP, and lane archer creeps give 18 XP. So as long you get at least three archers in lane, you will hit level two off of the second wave. The more lane creeps you can get , the better though. Terra is especially good when it comes to starting at your buffs, as you have the added advantage of delaying your minions from coming to lane by five seconds with Crushing Earth. To do this, you need to wait at the spawn door, and place down your walls as soon as the third minion is about to walk through. You want to try and capture the melees on your right side wall, and the archers on your left side wall. This is to make sure they are not all bunched up when they do get to lane, which would make it easier for certain gods to clear them. By doing this, you will give yourself an extra five seconds before the enemy is able to clear and make it to your purple for an attempted steal. Terra is able to clear with any ADC between 5-7 seconds, and it takes about 5 or so seconds to make it back to lane. Since you can start clearing at 34 seconds, that means you should make it back to lane anywhere between 44 and 46 seconds. In a worst case scenario, that would lose you the three melee minions. However, as long as you are able to get the XP for three archers, you will hit level 2 once the second wave is cleared(the more minions you can get, obviously the better). This can also be done with Monolith which will cause a longer delay, but hurt your level one clear immensely. I am not a big fan of that, but the option is there. For this, you will obviously be starting with Crushing Earth, since the walls will let you block the minions. However it also does provide the best clear, since it will do 100 damage to the buff holder, and 50 damage to the other smaller minions. As well, it will allow you to have Standing Stones active, giving you 35 extra damage after five auto attacks. When you do clear, try to bring your walls up as soon as the buff spawns, then just punch the buff holder. Try not to hit the smaller ones with your basic attacks, as hopefully your carry will be able to finish them with an AOE ability. If not, then punch the small minions until they die and get ready to run immediately to lane. As you are clearing, you should be watching the mini-map to see what progress your enemy is making in lane and if they are invading, or if they are going to do their own buffs. At this point there are two things that could happen. Either the enemy will attempt an invade, or they will back off and do their own buffs. If you get the latter, there is only one big thing to mention. 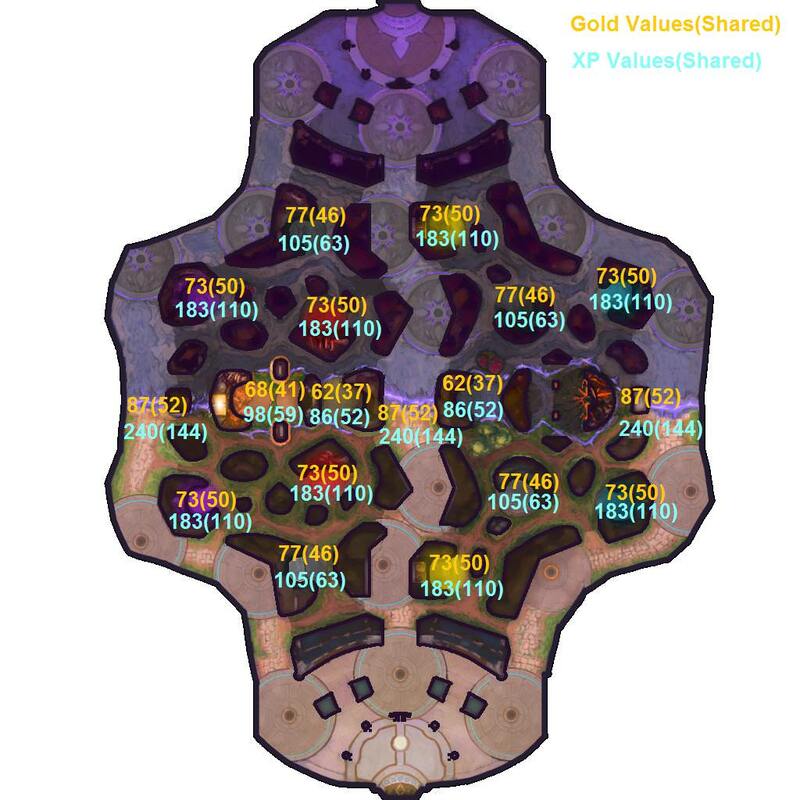 At the purple buff on each side, there is a spot where you can stand which will award you with the XP and a bit of gold from the minions being killed under your tower. The spots on both sides of the map can be seen in the following pictures. If the wave was pushed under your tower before you finished your buff you should use this spot, otherwise go straight to lane. If your enemy attempts to invade you will want to go to straight to lane through the back to get as many minions as you can. Try not to fight the enemy here as it is just too high risk, low reward to justify. You need at least three archers to hit level 2 on the second wave, but obviously the more that you can get the better. If you are wanting to start in lane (which you might have to if you have a stubborn ADC), you have to make sure you play extremely careful. In most matchups you are going to be heavily outcleared, and while minions do less damage than previous seasons, you still do not want to get caught out with a full wave smacking you. I think the best thing you can do is play defensive, try and clear the best you can without getting too poked, then give up your purple buff. You will have to wait until the third wave to hit level two, and they shouldn't be able to steal both of your buffs without giving up all of their pressure at level two. In my opinion starting with Force of Nature is the better choice if this is the start you end up doing, as Crushing Earth still won't win you lane pressure, and will hurt your level two clear. Now that you have hit level two and have your better wave clear available, you can begin to play more aggressive in an attempt to establish pressure. If you are clearing with Monolith, you will be clearing faster, but you want to try and capture at least one enemy within the radius in order to get some poke onto them. If an enemy walks up to the wave, consider leaving Monolith standing initially so you can take advantage of Standing Stones before shattering it. Be careful to not let Monolith be destroyed by the enemy ADC though. If you are using Crushing Earth to clear, make sure you are using the faster clearing method that can be found in the "General Tips" section. At this point you should have at least matched the enemy's pressure, setting you up for potential kills and invades at level three. Now that you have all three abilities, you will most likely have kill potential in the lane. At this point you will want to use Monolith for wave clear, and Crushing Earth for a stun. The best you can hope for is to catch an enemy standing too close to the wave, hitting them with the Monolith root, then following up with a stun from Crushing Earth. If this is properly followed up by your ADC you should be able to kill the enemy or at the very least force out the enemy relics. Make sure you pay attention to the damage being taken by your ADC as well, as you need to know if your relics are needed, or if you need to back off and play defensively. If things do go bad, ensure that you do what you can to save them, even if that means giving up your own life to body block for them. If you are able to out-trade them, you will want to keep a close eye on both your and their jungle. Buffs re-spawn at a faster rate this season, so it is even more important that you farm the jungle instead of trying to force kills. Continue applying pressure in lane as much as you can, trying to steal their buffs on cool-down. Your first back should occur once you have enough for at least T2 boots and Chalice of the Oracle if you haven't purchased it already. Get wards into their jungle to monitor rotations and catch timers so you can continue trying to farm and build your lead over them, but make sure you don't get too greedy and back off if you need to. The best thing you can do as a support is leave your carry with a lead, so the more farm you can get him, the better. In the mid-game, you need to be effective in your rotations, and farming. If you have a lead, this is where you need to snowball. If you are behind, this is your chance to close the gap before late-game. Once you have your ult and your boots finished, you can start to rotate to provide help across the map. You want to make sure you are keeping up in farm, while not sucking too much from any one specific lane. Grabbing back harpies on the duo lane side is an easy way to help you keep up. Generally though, this also means solo clearing buffs when possible, as you want your jungle to come off cool-down as quickly as possible. The faster spawning and easier to kill jungle means you should not take extended poke fights to try and secure kills. You should only engage if you are either defending a camp or invading a camp. If you are sitting in lane for multiple minutes having a poke-fight with the enemy, then you are going to lose valuable farm, with little to no upside. Save those fights for when you can pick something up on the map to build your lead. If you have a lead with Terra, you should be able to have some fun. You can put so much pressure anywhere you want in the map. You should take this time to be use Terra's aggressive nature to invade and steal your enemy's buffs on cooldown. With Terra's Blessing and a lead, you should win just about any fight that you want to take, just make sure you don't overextend without your ultimate/relics and throw away your lead. Keep your eyes on the Gold Fury and make an attempt for it if you can either get a pick, or notice a bad back/rotation by the enemy. The goal here is to starve your opponent of farm so that you can build your snowball larger than anything they can handle and end the game before it gets to late. The lovely thing about Terra, is that even if she is behind she is still useful with Terra's Blessing, Crushing Earth's stun, and Monolith's root. You will be squishier however, so you need to watch your aggressiveness and focus on defending your team and your buffs instead of fighting. Your main goal should be to try and catch the enemy out of position and force an objective off any mistake they make. You have a low threshold for mistakes however so be careful, because it doesn't take much for the game to snowball out of control. If the match is going even, you want to make sure you put your focus onto the neutral camps to gain some kind of advantage on your enemy. You will want to try and fight whenever their camps are up and use Terra's Blessing to swing it in your favor. Your main goal here is focusing on your farm while picking smart fights that you can use to build into some kind of lead. Make sure you have major objectives warded as you can't afford to fall behind from a sneaky Gold Fury. While complete map awareness is not as important anymore with Terra's Blessing it is still important to have your map close to your character. You still want to be aware of what is going on, and make your rotations as fast as possible to where your team needs you. Once you feel a fight is about to break out, you want to use Terra's Blessing on as many allies and enemies as possible. The more you hit, the better the fight will go for your team. It is also important you use your ult before using any other abilities, as you want to have enough instances of damage left to activate the damage in your ult. The DoT from Monolith is especially useful for this. 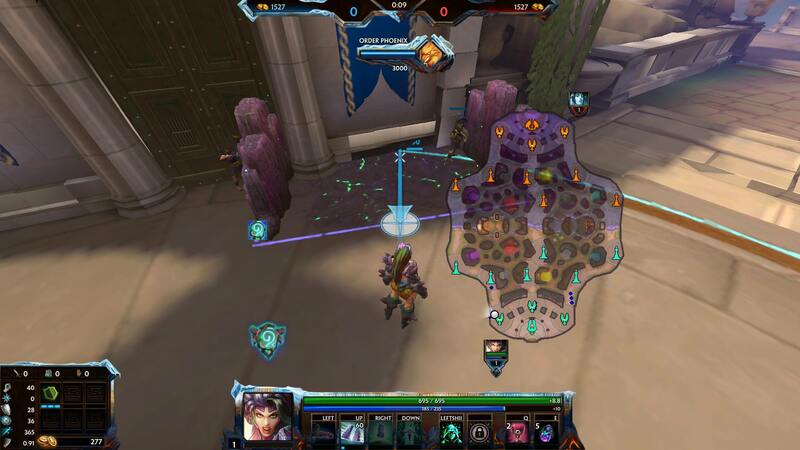 You want to use Terra's control and setup to apply pressure wherever it is needed in the map. Always make sure you are warding, giving attention to objectives and farming, and using VGS effectively to communicate your intentions with your teammates. If a fight does break out, focus on setting up kills with your stun, forcing actives, and peeling for your carries. Don't waste Crushing Earth unless you feel like you can get something out of it through a teammate following up. Terra is considered by some to be an ult-bot in the late-game, however, she does still provide good zoning, control and peel for her team if used correctly. This section will give an overview of how to do that effectively. Once you hit late game and you start to group for tower sieges and defenses, you will want to provide the control for your team. With Terra's large and relatively safe to use root, as well as her ranged stun, she functions well at both engaging the enemy back-line, as well as providing peel. You should position yourself between your solo lane tank and your squishies and act as the secondary engaging force. Just make sure your dashes are not caught, as you can get blown up if you are not careful. You want to make sure you are always keeping an eye on your carries and helping them if they are being dove, as if they die, you are going to lose the fight. Hitting multiple enemies with your Monolith is big, as it can force relics, abilities, or setup kills. Make sure however that you are not overextending for a kill, as you will not be doing much damage in the late-game with these builds, and your aura items are useless to your allies if you are halfway across the map. and keep your team aware of how soon your abilities will come up. I'm going to harp on this one last time, just because it is that important. As soon as a fight breaks out, you want to use Terra's Blessing. The ability is just too powerful not to use immediately. Just make sure that your teammates are in a position to use their own ults and actually fight so as to not waste the effect. As a support you should have an extra focus on warding. In theory, all members of your team should be warding, but in practice, you as a support are going to need to set the example. These are the spots you want to think about getting vision on at various stages of the game. As mentioned before, buying Chalice of the Oracle early on in your build is a smart decision, as it gives you more freedom to place wards, and saves you gold. 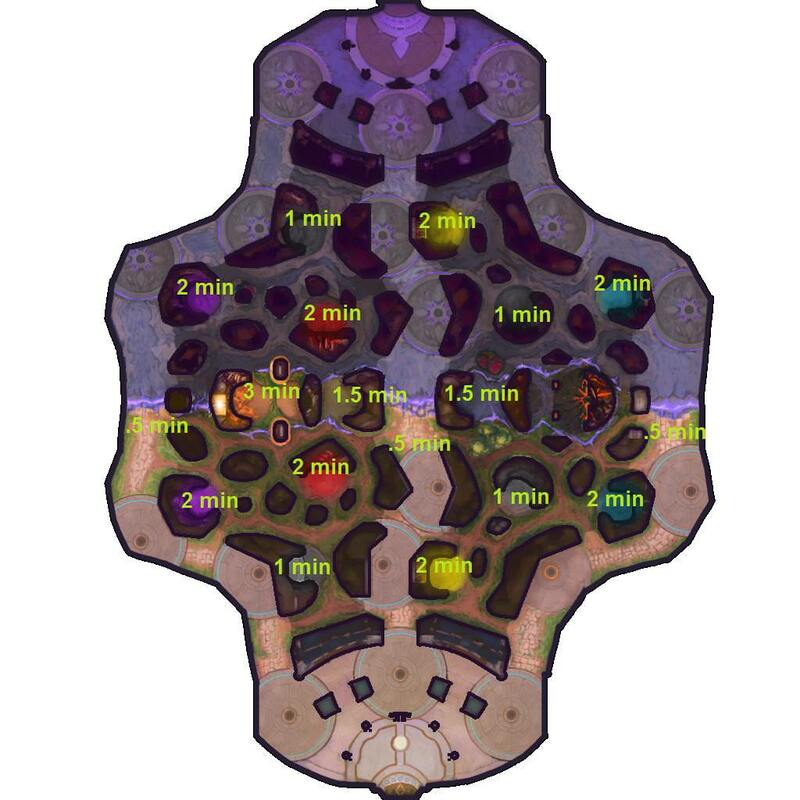 There are more places you can place wards, especially since some vision is better than no vision, but these are the spots that I prioritize. If you start with Chalice of the Oracle, you should immediately run to place your wards, then back to get the chalice refreshed. This section will go over some general tips to keep in mind when playing Terra to make the experience more enjoyable. If you are looking for a deeper breakdown of how to play the god, please go to the "Gameplay" section. These are tips that apply specifically to Terra and her abilities. Using these will help you make the most of playing her. You can shatter both walls of Crushing Earth by standing inside the area towards the edge of the wall. This makes it much easier to place and shatter without having to awkwardly go around the wall. You only need to clip the center monolith with Force of Nature in order to shatter it, which gives you a bit of leeway in terms of hitting the monolith and an enemy god at the same time with Force of Nature. Make sure you do this to get value out of both dashes if you can. Though your priority should be to get as many people rooted with this combination that you can. If the enemy has a dash, you should always try to first bait it out with Monolith before attempting a stun with Crushing Earth. The ability does take a bit of time to go off which is more than enough for a god to leap or dash out. If your goal is baiting, then you shouldn't shatter Monolith and instead use your dash to chase and apply Standing Stones after you catch them with Crushing Earth. Make use of Standing Stones as much as you can, the root, bonus damage, and knock-up immunity provide a lot in a fight. Easiest lock-down combo is Force of Nature into the Monolith, auto attacking,then looking down to place Crushing Earth, then immediately stunning your target, followed by further auto attacks and a second Force of Nature dash. Practicing hitting the stun on Crushing Earth without setup from Monolith and at range will go a long way in improving your play. Try not to let her Crushing Earth walls go to waste. If you miss them, or if they leap out of the area, try to keep them up to apply Standing Stones, then shatter them onto the enemy to deal additional damage. By applying standing stones, you can also easily body block your enemy, which can keep them in place longer than your stun. Monolith can be used to body block enemy autos. If you see your ADC trading with their ADC, try to place the Monolith between them without shattering it, as this will not only heal your ADC, but prevent them from being hit. This is super annoying to deal with as an opposing ADC. The walls of Crushing Earth are fantastic for blocking pathways, especially in the narrower jungle of season 5. If you can trap someone in, and even body block them within your walls, then make sure you get the most out of Standing Stones before stunning them. Just be careful you don't block off your teammates. You don't have to directly block off paths with the walls like an Ymir wall. Just the presence of the walls (or even the monolith) will make them have to decided between risking making it through, or finding a new way out. If you notice one of your carries about to ult (ie Thor winding up Anvil of Dawn) quickly use Terra's Blessing to provide the extra cool-down to their ult, as well as help them in the ensuing engagement. You can shatter the Monolith and Crushing Earth at the same time in one single dash to output some nice burst. You can catch unsuspecting, out of position squishies by surprise with this combo. If you are fighting a jungle boss or titan, do not place your Monolith in their path. It will be instantly destroyed if you do. Even though Monolith does not have an amazing heal, you can still get some value out of it by holding off on shattering it if you don't need to immediately. Place down either Monolith or Crushing Walls, then use Force of Nature to get a double dash off out of base, saving a bit of time. Never use the Igneous voice pack. It's gross. These tips are more general, and are good things to keep in mind regardless of the god you are playing. This is more of a general support tip, but if you have a Chalice of the Oracle, then you can use it to your advantage during a tower siege. If you are attacking and have wards left in the chalice, then you can place them down inside the range of the tower. This will create an extra obstacle for the enemy ADC to have to hit around, potentially saving your teammates from being hit by auto attacks. Try to learn how long relics go on cool-down for, and communicate those cool-downs with your team through chat or voice communications. Letting your team know how long they have to take advantage of an enemy without Purification Beads or Aegis Amulet can be huge in having them pick the right target in a fight. The same can be said for ultimates. Always try to think about what you are doing on the map, and if it is really the best way to use your time. Keep your mind always on the team, and how your actions can help them succeed. You want to win, even if that means you have to sacrifice your personal stats for the good of the team. EZ LIFE: This match-up gives Terra a big advantage overall. EASY: This match-up favors Terra overall, but won't be an insta-win. FAIR: This match-up is pretty even with neither god having the upper hand. TOUGH: This match-up requires careful, thoughtful play to be successful. NIGHTMARE: This match-up hard counters Terra and should be avoided. THIS SECTION IS A WORK IN PROGRESS THAT WILL BE UPDATED TO INCLUDE ALL GODS IN SMITE. -High early pressure can offset your poor pressure. Overall AMC isn't too hard to fight against. His fast lane clear gives him lots of early pressure against you, but as Terra you should be used to that. Try and use early cockiness against him as it is easy for him to be caught out by your lockdown combo and killed early. Through the mid-game you should look for ganks and invades as leaving your ADC in a 1v1 against him can be tough for them. In the late-game you need to make sure you apply pressure on him and not let him free-cast in their backline. -He's not good in any other role, and since this guide assumes you are support... well... have fun? Yeah, not much to say here. If you are playing Terra support and get an Ares on your team you are probably going to have a rough game. Best advice I can give is try and stay positive as unless they are an incredible player, or the other team is equally as terrible, then this won't turn out well for you. Try to dominate your lane as best you can and pray to the SMITE gods that it will turn out OK. The cripple in Ares's kit is what makes him an overall nightmare to fight against as Terra. There is not a lot of counter play to it other than either hoping he misses, or trying to bait it out of him. I'd recommend to always try and bait it out before you engage with your double dash. As well if he catches you in No Escape, try and throw Monolith and Crushing Earth at the area where you are going to be pulled. This will help heal teammates that are about to be in some trouble, prevent you from being knocked up further, and get your stun ready to stop Ares's from hitting Shackles. -Her strong frontline ability lets you focus more on backline support play. -Doesn't have an ult that benefits from Terra's Blessing, and your team will lack impactful CC ultimate. Just like Ares, Artio's cripple makes her an absolute nightmare to fight. This one lasts for six seconds, is an AOE, persists after her death, and follows her wherever she goes. Your main combo of using Force of Nature into Monolith is absolutely destroyed by Entangling Vines. Even if you are able to complete your first dash, you are not going to be able to start your second, leaving you out to dry. The only thing I would recommend is that you do not engage while she has her cripple up. If you see her use it, that is when you go in. But make sure you make the most of the short time it is on cooldown. You can try to interrupt Life Tap or catch out Heavy Charge, but overall, this is honestly one of, if not the worst matchup you could ask for as a Terra. If you see her locked in, you should immediately pray to the SMITE gods that she is being played as a solo laner, because laning against her is the opposite of fun. The month of her release was the worst possible time for a Terra main. Athena is one of the better guardian jungles out there, and doesn't have any major weaknesses that would be exposed by a Terra as her support. She will fall off in the late-game however, so make sure you make good use of your global ults and end this one early. Athena is a tough matchup for Terra because of how powerful Confound is. This is the main ability that you want to play around with Athena and engage only when it is on cooldown. She can easily interrupt your dashes and lead you into your death. It is on a long cooldown though, so make sure you take advantage of the time when it is down. 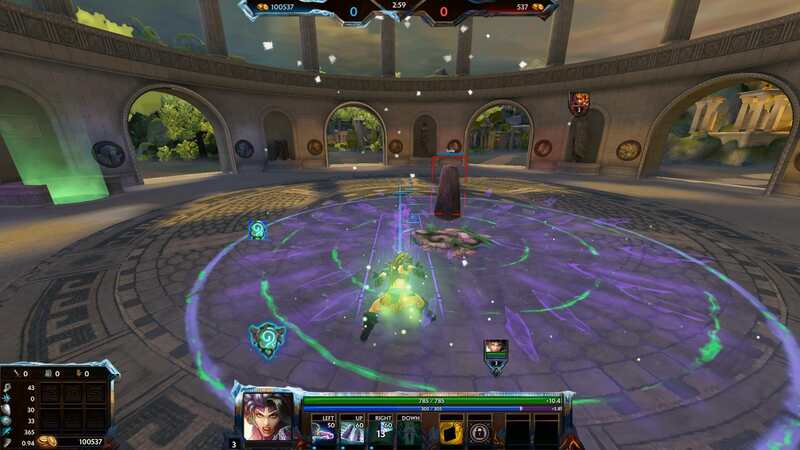 You can also ult when she uses Defender of Olympus to match some of her global presence. -Terra's Blessing puts the best execute in the game on lower cooldown. Fighting a Bacchus is one of the easiest matchups as Terra. Standing Stones makes it so you won't be knocked up when he jumps in with Belly Flop, and your stun can be applied when to him before Belch of the Gods finishes. Whether he holds his stun, or leaps in first, he is just kind of screwed against Terra. His best shot is from him having a leap that allows him to get away from Terra's lockdown. But overall, this is a very easy matchup that a good Terra should always perform well into. So, that is basically Terra. My personal favorite, and a god that I think still remains satisfying to play, even after the removal of her root. -Long cooldowns on all abilities. I have just started playing Terra recently. She is fantastic to play and this guide has been super helpful. I have actually played her in solo a couple times and done quite well. I just kind of guess on my build when in solo though. Was curious if you had any ideas or recomendations? 129686 Ben24 I have just started playing Terra recently. She is fantastic to play and this guide has been super helpful. I have actually played her in solo a couple times and done quite well. I just kind of guess on my build when in solo though. Was curious if you had any ideas or recomendations? Kriega definitely had a good breakdown of items to look at, though I personally am not very high on Rod of Asclepius as much as other people are. Big thing in solo is realizing that all that I said about her poor level one is amplified when you don't have a hunter with you to help clear. It is super important to play safe, as pretty much every warrior will pressure you hard until you get your other abilities online. Once you do though you can start to be more aggressive, but without a hunter you are not going to be looking for kills unless your opponent misplays, or you build a substantial lead. From there just try to make the most out of your rotations to be using your ult in big spots for team fights. With respect to boots, pen boots are definitely better in solo compared to support, but even with them you probably won't be soloing your opponent as much. They are nice if you can afford to take them, and usually I would make that decision based on how confident I am that I will get my blue buff consistently. If you are up against a high pressure jungle/solo (ie Hercules and Mercury) then you will want to grab Shoes of Focus to help you stay in lane longer. Generic examples: Start: Warrior's Blessing, Shoes, Chalice of Healing. Against Physical solo laner: Shoes of Focus, Breastplate of Valor, Midgardian Mail, Void Stone (or Pestilence if anti-heal is needed), Mantle of Discord, Rod of Asclepius. Against Magical solo laner: Shoes of Focus, Void Stone, Genji's Guard (or Pestilence against healer), Midgardian Mail, Mantle of Discord, Rod of Asclepius. Thank you, this looks good. Its fairly similar to what I have been using. What are your thoughts on penetration boots? I have been using shoes of focus as well and the issue I run into sometimes is I don't do enough damage to force a back from the enemy. What are your thoughts on gem of isolation instead of Rod of Asciepius? 129693 Ben24 Thank you, this looks good. Its fairly similar to what I have been using. What are your thoughts on penetration boots? I have been using shoes of focus as well and the issue I run into sometimes is I don't do enough damage to force a back from the enemy. What are your thoughts on gem of isolation instead of Rod of Asciepius? Gem of Isolation is better on other guardian solos like Cerberus (not sure other guardian solos even get it to be honest). Terra makes better lategame use of Rod of Asclepius. Penetration boots is ok if you think you will cap cooldown reduction in your build (also remember that Potion of Magical Might gives 10% cdr and you also have blue buff as well), but unnecessary if you have a place for Void Stone in your build, which may normally be the case. 129694 Kriega1 [[Gem of Isolation]] is better on other guardian solos like [[Cerberus]] (not sure other guardian solos even get it to be honest). [[Terra]] makes better lategame use of [[Rod of Asclepius]]. Penetration boots is ok if you think you will cap cooldown reduction in your build (also remember that [[Potion of Magical Might]] gives 10% cdr and you also have blue buff as well), but unnecessary if you have a place for [[Void Stone]] in your build, which may normally be the case. Very curious on your thoughts on these changes...on the theoretical side of things, what's your first instinct on how this changes her? 126593 Branmuffin17 Very curious on your thoughts on these changes...on the theoretical side of things, what's your first instinct on how this changes her? She's definitely going to feel a lot more interactive to play now. That new ult is definitely going to see some nerfs to the numbers in the coming patches. It is weaker in the early to mid game without the global presence, but the local presence is going to feel so much more impactful now. So much damage, healing and mitigation on a 90 second cooldown. I love it. With that and her root back I think this easily places her as a top 3 support again and at least for the time being she will be high priority in the P&B phase. 126602 NKE07 She's definitely going to feel a lot more interactive to play now. That new ult is definitely going to see some nerfs to the numbers in the coming patches. It is weaker in the early to mid game without the global presence, but the local presence is going to feel so much more impactful now. So much damage, healing and mitigation on a 90 second cooldown. I love it. With that and her root back I think this easily places her as a top 3 support again and at least for the time being she will be high priority in the P&B phase. Thank you thank you :) there's a still a bunch I want to add, but the middle of exam season has made it a bit tough to completely finish off haha. 126197 NKE07 Thank you thank you :) there's a still a bunch I want to add, but the middle of exam season has made it a bit tough to completely finish off haha. Have you tested how the CDR on the ult works? Tried to find something on it on google, but could not find any proof. Like does the cooldown stack up to 80% with this or is it still 40% cap. 125729 BestMinionEver Have you tested how the CDR on the ult works? Tried to find something on it on google, but could not find any proof. Like does the cooldown stack up to 80% with this or is it still 40% cap. I have tested it and can confirm you can't go above the 40% cap unfortunately. 125732 NKE07 I have tested it and can confirm you can't go above the 40% cap unfortunately. It makes it so that you kind of dont want to build CDR, but I guess you should because then you can give your teammates 40 CDR more often. But ppl need to make use of it. I have to admit that I didnt know it gave CDR, thought it gave CCR. So I have never thought about spaming stuff in combination with it or wait for the ult before using ult. Yeah building full CDR takes away the benefit from yourself, but being able to give your team 40% CDR (and the other benefits) every 66 seconds as opposed to every 110 seconds is what can make it worth. Plus her other abilities are on long cooldowns, so building CDR is still strong even though it makes her ult lose that element for her. Definitely a good idea. One of the most frustrating things with Terra is when you ult to engage, then have none of your teammates actually use their ults haha. So many people don't realize what it does :p.
125736 NKE07 Yeah building full CDR takes away the benefit from yourself, but being able to give your team 40% CDR (and the other benefits) every 66 seconds as opposed to every 110 seconds is what can make it worth. Plus her other abilities are on long cooldowns, so building CDR is still strong even though it makes her ult lose that element for her. Definitely a good idea. One of the most frustrating things with [[Terra]] is when you ult to engage, then have none of your teammates actually use their ults haha. So many people don't realize what it does :p.
Neith is an easy matchup? Againts what kind of Neiths have you been playing againts? I literally destroy Terra whenever I play Neith (She is my hunter main). I love Terra, even did a guide for her when she came out, but man I got to give you the torch, yours is simply... better. 125294 ThePerfectPrism I literally only have 1 thing to complain about this guide [[Neith]] is an easy matchup? Againts what kind of [[Neith]]s have you been playing againts? I literally destroy [[Terra]] whenever I play [[Neith]] (She is my hunter main). I love [[Terra]], even did a guide for her when she came out, but man I got to give you the torch, yours is simply... better. Congrats. I've never really found Neith to be a problem when I play against her as Terra. Her escape is slow and telegraphed, so it's easy to bait it out then have her land within Crushing Earth for a stun. Then from there she is basically a sitting duck. She also doesn't really have a way to stop Terra from dashing through her stones since the root is only soft CC and her ult wouldn't be best used for that. Though, I will admit, Neith is notorious for being a god that beginners play, so it's definitely possible my experience against her has come against players much worse than yourself which biases my thoughts on the matchup. Yeah, take your time to not get burned out of guide-making, or else you're gonna be like me. 11 Guides and the will to update none o' them lol. Well, I'll share some of my experience playing againts Terra then. Normally, at least for me, it's pretty easy to avoid Crushing Earth, by simply using Backflip when the animation that Terra does for it begins to play. Then most Terras proceed to use Monolith-> Force of Nature, and if Terra manages to lock me in place, I normally use Spirit Arrow into her and into the Broken Weave, proceeding to use Unravel and basic attacks. Ofc, it all comes down to teamplay, but I think that, for a good Terra, Neith can be a Easy to Fair matchup, since this also depends on the enemy Neith. 125321 ThePerfectPrism Yeah, take your time to not get burned out of guide-making, or else you're gonna be like me. 11 Guides and the will to update none o' them lol. Well, I'll share some of my experience playing againts [[Terra]] then. Normally, at least for me, it's pretty easy to avoid [[Crushing Earth]], by simply using [[Backflip]] when the animation that [[Terra]] does for it begins to play. Then most Terras proceed to use [[Monolith]]->[[Force of Nature]], and if [[Terra]] manages to lock me in place, I normally use [[Spirit Arrow]] into her and into the [[Broken Weave]], proceeding to use [[Unravel]] and basic attacks. Ofc, it all comes down to teamplay, but I think that, for a good [[Terra]], [[Neith]] can be a Easy to Fair matchup, since this also depends on the enemy [[Neith]]. Get Your Filthy Mage back to the mid lane where she belongs. 125326 Branmuffin17 Get Your Filthy Mage back to the mid lane where she belongs. I mean Neith has been played forever in the Mid cuz her ability damage is just ridiculous lol. 125364 ThePerfectPrism I mean [[Neith]] has been played forever in the Mid cuz her ability damage is just ridiculous lol. She's just been out of the meta for a long time. 125369 Branmuffin17 She's just been out of the meta for a long time. An inspiration for everyone else that makes guides. Agreed with earlier comments...I read this one a bit last night, and feel this shows great knowledge of the god. I especially like your skill leveling section with level 1/2 options. Curious though on your opinion on starting items. Right now it's a pretty unpopular idea to start with T1 Shoes, due to the high price. Many are opting for Chalice of Healing or Chalice of Mana (depending on need), combined with either Chalice of the Oracle for early vision or potions of choice. (Personally I wouldn't start 2 chalices though) Or you could even consider Oracle + Mana Potions. Especially if you get the early level 2 Monolith, you might go for this type of start. I do see you sort of give this option in your 2nd start option. One other thing you might indicate with Gauntlet of Thebes is that, with Terra really looking to always accompany teammates, this ends up being a perfect item for her tankiness. She's not going to be roaming the jungle on her own (unlike better clear gods like Ymir for example) so the fact that she has to build stacks isn't really all that bad. Extremely great writeups for the 3 core items though...exactly my mindset on when to pick these up. I personally dislike Stone of Gaia for the same reason you mention...no teamfight utility. Especially for a god like Terra who has healing in her kit, I think it's a somewhat poor option. I'd feel like I'd get more use out of an item like this if I was a Support with no sustain/healing and didn't even get something like Sovereignty earlier. Your point about Anti-Tank is a good one, but I really want to see how that turns out as the meta forms and builds are solidified. If you're the only really tanky enemy on your team, your enemies have to make a choice (unless they just default to S4 builds with TB and Shard). Do they counter-build you with TB / Shard, or do they go with flat pen and focus on the squishier gods? If you force them to counter you with anti-tank items, it's, at least in some ways, helping the rest of your team out, as it will take up an item slot, and those two items don't provide any additional utility (not even to objectives anymore!). Love the build examples and the note about being flexible. Love the farming values and other info in that section. Holy hell about all of the tips. You spent a ****load of time on this. One other thing on warding...for your early warding, you have one right next to the purple buff. Although that can help keep an eye on that timer, I feel you can get better use out of the point directly between your two red spots. 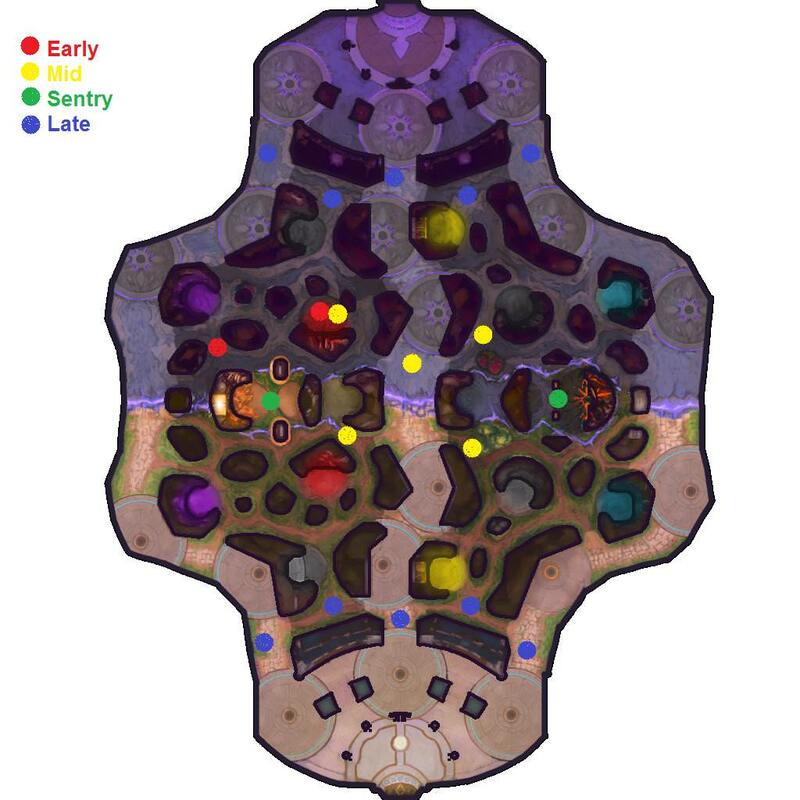 The range on a ward is wide enough that you can cover both the path to lane from the purple buff, as well as the path to lane from the Gold Fury. essentially covering that entire area to lane. If you're comfortable with that, it allows you to place your other ward deeper in, or more defensively, etc. My thoughts on the starts are pretty open right now. Most of my testing was on PTS, which is not the best way to judge a start due to imbalances in skill level, so now that ranked is out my main focus has been on figuring out the best start. The reason I like Shoes is due to being able to get your movement online faster. With so many places to be on the map this season, the quicker you can move on the map is more important than ever. It definitely did get a nerf with the price increase however, so lately I have been really enjoying starting with Chalice of the Oracle and then picking up Magic Shoes on my first back. This is definitely one part of the guide that will receive a lot of updates though. That's a good point about Terra's clear and Gauntlet of Thebes. That was actually something I was trying to figure out the wording for as to not make it too confusing. Terra does do decently well at clearing camps solo with her 3-1 combo, and generally solo clearing is more ideal to get your jungle to spawn back faster. But the clear will definitely not be on the same level as the like of Ymir or Athena, so sharing with Terra is good to preserve mana and build stacks on Gauntlet of Thebes. Stone of Gaia is just a really great tank item in my opinion and I personally just love this item for the pure tankiness it gives. The regeneration can add so much in a teamfight, and I think it works well on Terra because her healing is either slow, or conditional. Stone of Gaia is just constant regeneration and a buttload of health. It's just such a selfish item that it's hard to fit into a support build. Also, I love Gaia...but just in Assault XD Maybe I have to get over that, as it's pretty apparent others, including high level players, value the item more than I do. 125238 Branmuffin17 What's the coolest for me as an individual is when people say I've helped them or they support my ideas, and they're pretty obviously better players than I am. Sure, that's not hard to accomplish, but your comment, or Estidien's, or Marki's...super cool. Duotem just likes to point out how I'm wrong =( Also, I love Gaia...but just in Assault XD Maybe I have to get over that, as it's pretty apparent others, including high level players, value the item more than I do. I really like this guide. Play Terra from time to time, one of my fave guardians. Just have two things to say. One, your start. Season 5 is all kinds of messed up for supports, so a starting boots doesnt really help us as much as it used to. I've been told to start with rushing Gauntlet of Thebes, which is great. I also like to start with a protection item when playing healers. So a suggested start would be Guardian's Blessing into a Tier 1 Sovereignty or Heartward Amulet, and then potions and wards. Second, you have Mail of Renewal and Stone of Gaia as counters for executes. Smite actually has an execute focused item, Stone of Fal, which directly counters Ao Kuang and Thanatos, but the second one only when his ult is leveled up past 3. Just some suggestions. Other than that, great. 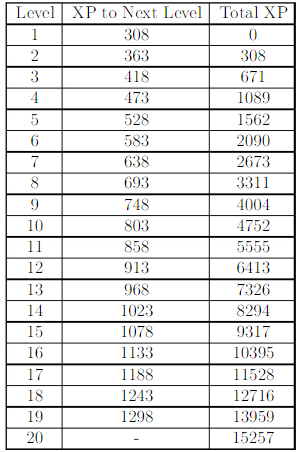 125211 IceColdPappsi I really like this guide. Play [[Terra]] from time to time, one of my fave guardians. Just have two things to say. One, your start. Season 5 is all kinds of messed up for supports, so a starting boots doesnt really help us as much as it used to. I've been told to start with rushing [[Gauntlet of Thebes]], which is great. I also like to start with a protection item when playing healers. So a suggested start would be [[Guardian's Blessing]] into a Tier 1 [[Sovereignty]] or [[Heartward Amulet]], and then potions and wards. Second, you have [[Mail of Renewal]] and [[Stone of Gaia]] as counters for executes. Smite actually has an execute focused item, [[Stone of Fal]], which directly counters [[Ao Kuang]] and [[Thanatos]], but the second one only when his ult is leveled up past 3. Just some suggestions. Other than that, great. That's a good point about the start, there's definitely a lot of options out there, and I'm testing out a bunch of things to see what works well, those are just the two I'm confident enough in to have in this guide. The reason I like the Shoes start is that by getting your T3 boots faster, you have more freedom to rotate, invade their buffs to build a lead. Rushing Gauntlet of Thebes is definitely a possibility, but it does have a drawback of being 2400 gold, which is quite pricey for a first item, and might get you outrotated on the larger map. Getting to build your stacks quicker is a nice perk though, I just need to test that start out a bit more to see if the delayed power spike is usually worth it. As far as Stone of Fal, I just don't think it has enough base stats to justify the pickup in the support role. Terra has low scalings, so 70 power won't do a lot for her, 40 magical protections aren't a whole lot compared to other options, and you can get 10% cooldowns elsewhere in your build. While Mail of Renewal and Stone of Gaia don't directly counter an execute like Stone of Fal, they do provide a lot of health and regeneration to keep you above the threshold, while not sacrificing overall effective health. really good build i liked your use of the bb coding and you had all the sections covered that someone looking for a build could ask for your warding and farming values was really informative good build. 125208 Gingie really good build i liked your use of the bb coding and you had all the sections covered that someone looking for a build could ask for your warding and farming values was really informative good build.